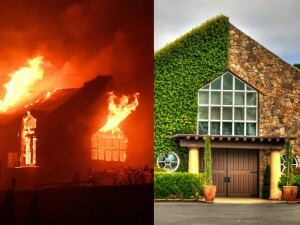 Signorello during, and before, the 2017 Wine Country fire. Napa’s Duckhorn Wine Company announced that it is purchasing Sonoma Pinot Noir powerhouse Kosta Browne Winery. Aaron Romano has the scoop in Wine Spectator. Austria, a country with a highly fragmented wine industry and no big hero brand, has developed a fine wine reputation and is achieving high average prices for its wines. Felicity Carter looks at Austria’s successful fine wine strategy in Meininger’s. Veraison has begun on California’s North Coast, reports Kerana Todorov on WineBusiness.com. In Bloomberg, Elin McCoy tastes Walmart and Trader Joe’s wines and ranks them from best to worst. Wine & Spirits Magazine highlights a few wine and spirits books for summer reading.